History comes to life through sharp and striking images. Rating: 3 stars out of 4. 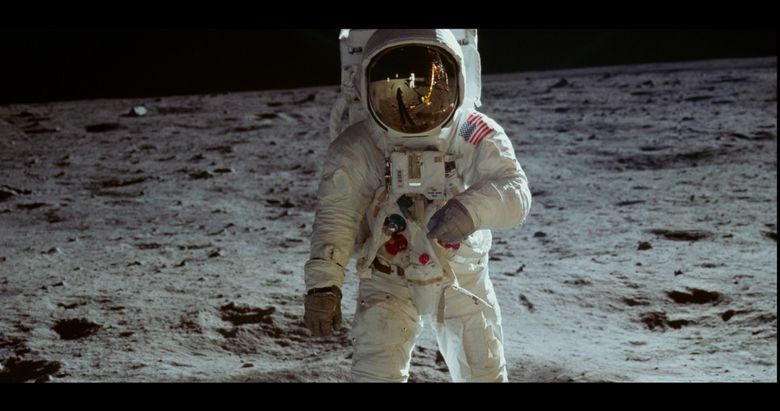 Assembled from NASA archival footage by director Todd Douglas Miller and his production team, this documentary about humankind’s first landing on the lunar surface on July 20,1969, is a step-by-step, at times minute-by-minute, recounting of the Apollo 11 mission. It starts with the slow journey via a huge crawler/transporter vehicle of the Saturn V rocket to the launchpad at Florida’s Kennedy Space Center on July 16, 1969, and ends with astronauts Neil Armstrong, Buzz Aldrin and Michael Collins back on Earth and hailed throughout the world as heroes after their splashdown in the Pacific on July 24. This is a just-the-facts-ma’am depiction of the mission. Personal backgrounds about the astronauts are limited to a brief montage of snapshots — family photos and other archival still pictures — flicking by on the screen. There are no interviews with the men or anyone in Mission Control. Most of the soundtrack consists of scratchy NASA audio of radio communications between Mission Control and the spacecraft and between the astronauts themselves. Everyone is all business. This is no narration as such, other than sound clips of Walter Cronkite and an anonymous NASA spokesman speaking from Mission Control recounting what is happening as it’s happening. Some historical context is provided via radio-broadcast snippets reporting on the Vietnam War and the Chappaquiddick incident involving Sen. Ted Kennedy, happening contemporaneously with the moon mission. Fifty years on — 50 years! — there is not much in the way of anything new presented in the movie. We’ve seen it before. We’ve heard it before. 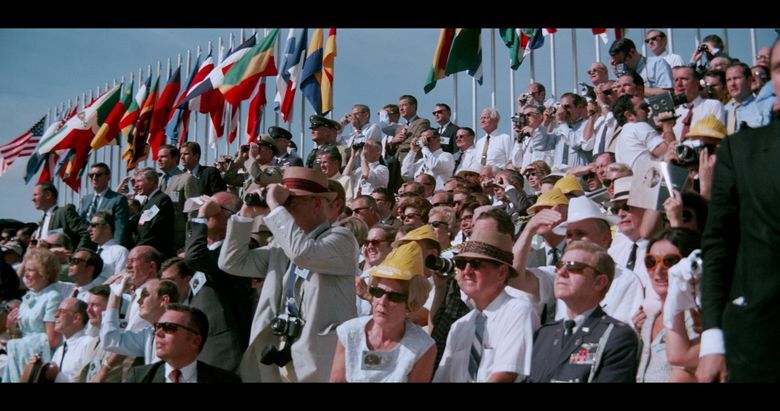 However, a lot of the footage found by Miller is large-format 70mm NASA film taken in the control room and on the beach where hordes of spectators gathered to watch the launch. Other footage has been digitally cleaned up so overall the familiar images are sharp and striking. This is not to say that what we see and hear in “Apollo 11 is not compelling. This is history brought to life, something absolutely unprecedented in the annals of humankind. Tension is conveyed in the footage of the controllers peering intently into the screens at their Mission Control consoles during critical junctures of the flight. The relief and pride on Earth, when the landing is successful and Armstrong and Aldrin step onto the moon, is palpable. Old Glory is joyously waved in the Control Room, and there is ample footage of the deployment of the flag on the lunar surface by the astronauts (a lack that earned “First Man” some criticism at the time of its release last year). Even 50 years later, this is history that never gets old. 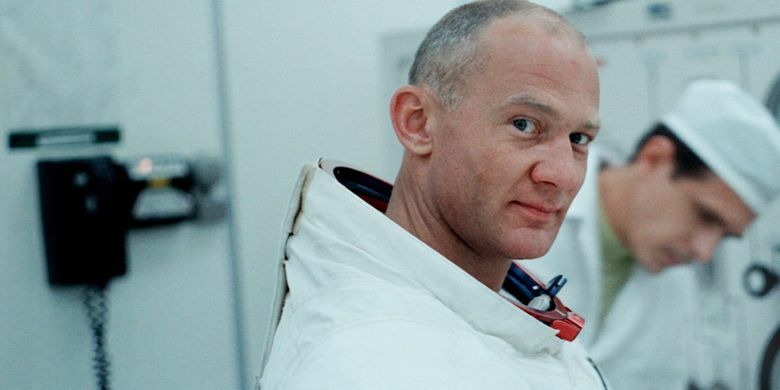 ★★★ “Apollo 11,” a documentary directed by Todd Douglas Miller. 93 minutes. Rated G. Opens March 1 at multiple theaters.